The Satake SCA Closed Circuit Aspirator provides for the efficient, controlled separation of light impurities from cereals. Three inlet options enable a standalone application as well as compatibility with a Milling Separator or a Scouring Machine. 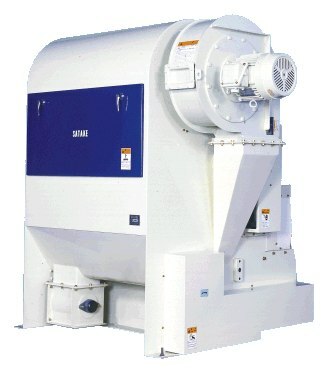 Whether installed at the grain intake point or integrated into cereal cleaning system, the Satake SCA creates significant savings in energy, space and maintenance. Reduced Maintenance - Fewer filters requiring less maintenance.